Koalas are cute. That's all there is to it. I think that the koala is up there on many people's lists as the cutest animal on the planet. Just take a look at that face! We really wanted to see a Koala in the wild when visiting South Australia. 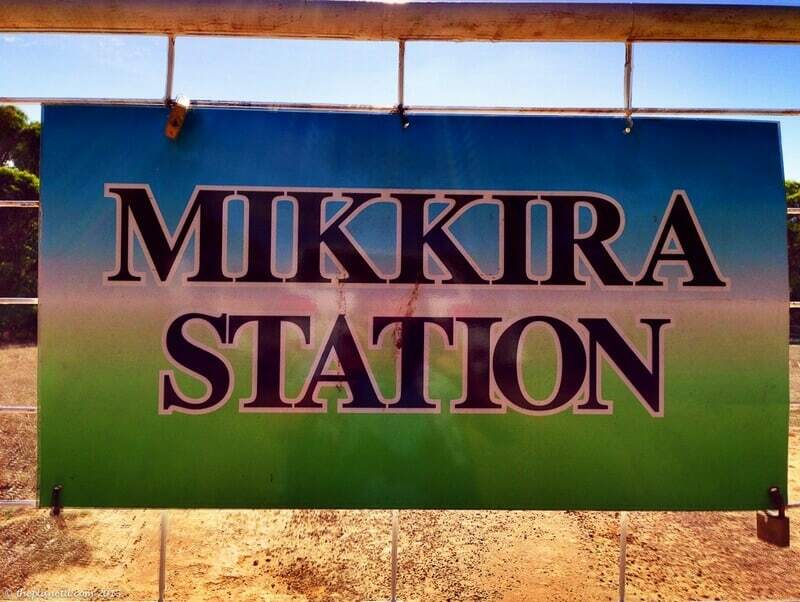 It turns out, that we saw many, but one of the best places to see them was at Mikkira Station near Port Lincoln. We had just started our safari with the Gawler Ranges Wilderness Tours and en route to the camp, we stopped at the station to see the Koalas. Owner, Geoff Schults, told us that an airport was opening closer to his camp, but he is still going to try to have people fly into Port Lincoln just so they can keep this experience on the tour. We agree with him. Seeing the Koalas at Mikkira was one of our favourite things of the entire three day safari. Most of the koalas that we had seen before this were hidden high in trees and had mostly just been shadows. But here, they slept at eye level and you can get within a few feet of the cute little guys. A Koala is not a bear, contrary to popular belief. It is a marsupial, they have pouches just like a kangaroo and the babies in the pouch are called Joeys. Adult koalas are tiny, growing to less than 3 feet and they are adorable. Koalas can be found in Eucalyptus trees. They eat their leaves and they sleep a lot. The Eucalyptus tree doesn't offer a lot of nutrients, so the koala sleeps a lot. A person has to have a lot of patience to photograph a koala with it's head up. Most of the koalas that we saw were curled up in a ball in a branch or leaning their heads against a trunk. They don't really stir easily. People can walk right by their tree and they barely pay any attention. You just have to get lucky and be there for those precious few moments that they raise their head and take a look out to see what's going on. We spent a fair amount of time at Mikkira Station so we managed to capture a couple of active koalas. It's extremely tempting to reach out to give them a hug, but it's important to remember that these koalas are wild. Mikkira Station isn't a zoo, it's a natural area and the koalas choose to be here. They can come and go as they please and you must take care not to disturb them. 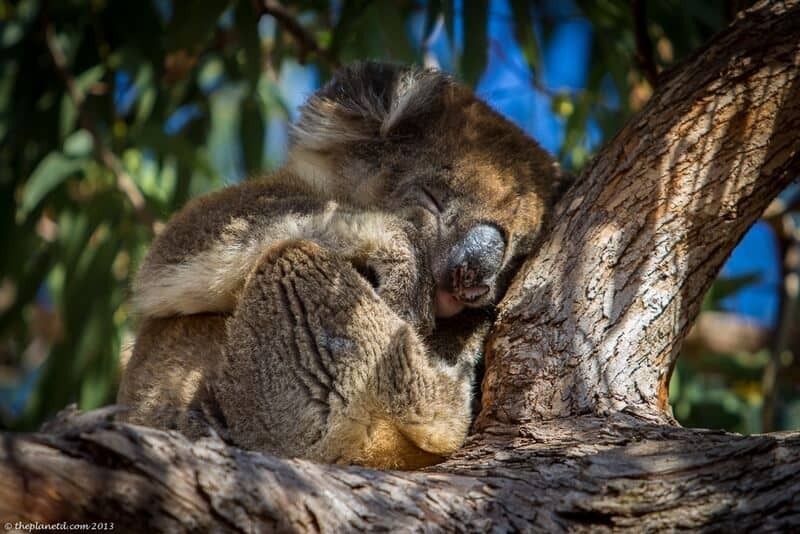 A sleeping koala in South Australia – so cute! Love Koalas? 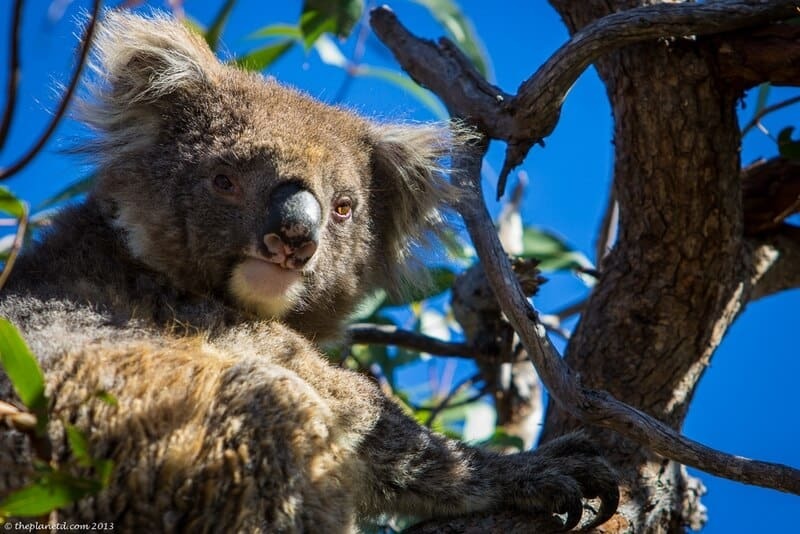 You can also see them on Kangaroo Island, located just off the coast of South Australia. 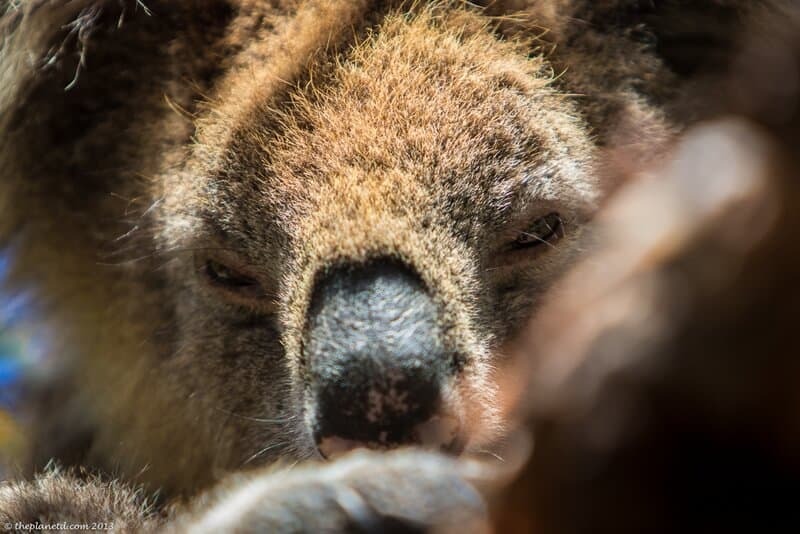 This koala looks pretty sleepy! Can't get enough koala cuteness! For more information on Safari in South Australia's Outback, visit Gawler Rangers Safaris. 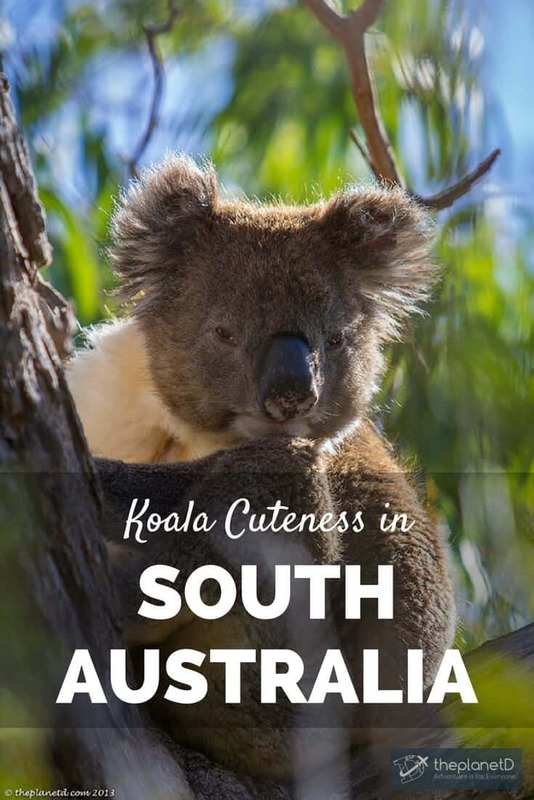 33 Responses to "Koala Cuteness in South Oz"
I really wonder what do koalas eat? Ah, they eat the Eucalyptus leaves of the Eucalyptus tree. that’s their staple diet. They live, eat and sleep in their tree. Koalas are cute animals, definitely, but do not forget that they are wild animals, who can be very grumpy too! And I know something about it. 2 years ago I volunteered at the Wildlife Hospital in Beerwah. I could learn so much about Koalas and their wild environment. Unfourtunately it is one of the most endangered australian animal species. 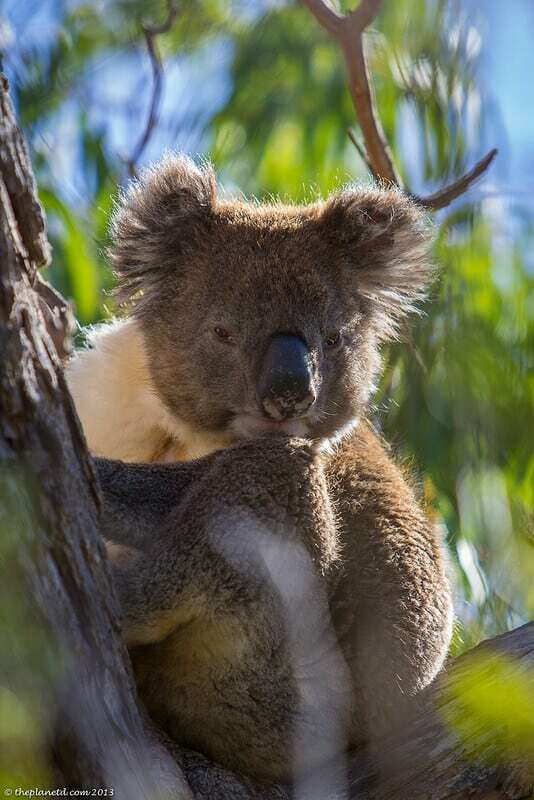 I really hope the great work made by volunteer organizations in Oz manage to spread awareness among Aussies and beyond the Australian boundaries to help Koalas live long in their native land and be part of the precious Aussie heritage for many years to come! These are gorgeous shots of them! And lucky you! You could see them on K.I I did not see any, bummer! So cute! I got to see some koalas on the Great Ocean Road a couple years ago, so exciting. It’s funny to me that they eat something that doesn’t provide them with a lot of nutrients. Why not eat something else? It’s weird isnt’ it. I think there is lots too eat, but this is their diet. I wonder if years ago there was more nutrients. Or maybe like Pandas, it’s just what they eat and it makes them lazy. I know that the bamboo that Pandas eat doesn’t offer a lot of nutrients either. They’re similar that way. We saw so many just off the Great Ocean Road. At first it was one here and one there but before we knew it everywhere we looked the trees were covered in them. Amazing! That must be the Koala capital of Australia. I’d love to drive that road. I have to agree – they really are adorable! Saw my first up close and personal koala in Tasmania and was hooked. Have spotted one in the wild, although that was not without much craning of neck and trying. Indeed they are very cute. But I wonder if they are not so nice up close. I’ve found that to be true with most wildlife in my travels around the world. Or, maybe it’s just me. We got pretty close to them when they were low in the trees. We made sure not to disturb them though. We kept very quiet and didn’t go too close and while they knew we were there, they weren’t worried. Mostly they just kept on sleeping looking up every once in a while. So true Samuel they really are cutie bies. When I was a child, only just able to read, a friend of the family gave me a book on Australian wildlife. I was pretty obsessed with koalas for my childhood. I still have not made it down under to see one in person, but they still fascinated me. Nice close up pictures. I need to remember my zoom lens if I ever make it. Good call Andrew, a zoom lens helps a lot. Most of the time the Koalas were high in the trees so the zoom helps. Oh my gosh, the koalas are SO stinkin’ cute! My dad used to work for the Pennsylvania Game Comission when I was little and we fostered a lot of animals that were injured or lost their mothers due to accidents and tornados. It cemented my love for animals at a very early age. So I get super excited at the opportunity to see just about anything in the wild. Did you hug a Koala? I would definitely want to hold one, if only for 5 minutes. We didn’t hug a Koala. The Koalas at Mikira Station are wild Koalas. I believe that there are some facilities that are sanctuaries where they’ve adopted and saved koalas and you may be able to hold one there. I’m not sure though. They are adorable and it’s tempting to reach out and touch them, but it would put a lot of stress on them. The wild ones are best to be watched from a short distance. They don’t mind having humans around, but they dont’ like to be touched. The pictures are so cute. I love them. Glad you enjoyed Australia and got to see its treasured wild-life. Thanks, it was a great introduction to Australia. we look forward to going back. Your images remind me of home. You got great eyes if you can spot them in the wild as they are usually still and hard to see. Glad you enjoyed Australia! Very true, it wasn’t until we saw a couple that we could start picking them out. Luckily at Mikkira Station, they were also fairly low in the tree. We saw others in the wild, but usually much higher up. This is one of the best spotting locations we had. Koalas are definitely cute and look so huggable! Interacting with animals is a fun part of traveling. I really enjoy going to zoos and other wildlife places on the road. Animals put a smile on your face. So true, they really do put a smile on your face. Animals are so innocent, no matter what animal I see, they’re eyes are always so wide and filled with wonder. They’re peaceful and make me feel peaceful too. Koala Bears sure are so cute. You must have heard of Sam the Koala who was rescued by OZ firefighters, who’s really adorable. Great photos! We didn’t hear about him, when did that happen? Aw, so cute that he survived, I’m glad to hear of an uplifting story about wildlife, so much of it is always sad as humans encroach on their space. There’s such detail in your images. They look so furry! 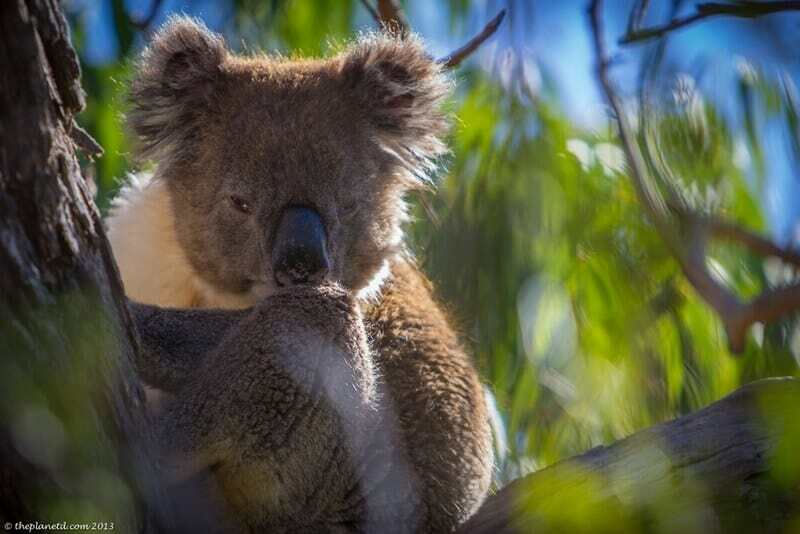 We spent hours looking for koalas in South Australia, having all but given up on catching sight of them in the wild we came off the main highway in search of a camp site and came across 3 just hanging out on a tree by the side of the narrow road. Awesome to see them in their natural habitat. That’s the best way to see them, when you’re least expecting it. We saw them the first day when we arrived in Adelaide up in the Adelaide hills and didnt’ really give them the attention they deserved, we thought we’d be seeing a lot of them. And then, we ended up not seeing them for days. We were worried that we missed our chance. Luckily, we ended up seeing them here and then again on Kangaroo Island. I didn’t realize they were so hard to spot before going.